Prime Minister David Cameron was forced to defend Britain’s tributes to the death of Saudi King Abdullah after being grilled by young people at a pre-election debate. Following the death of King Abdullah bin Abdulaziz, the British government issued an order to fly Union Flags at half-mast as a sign of respect. 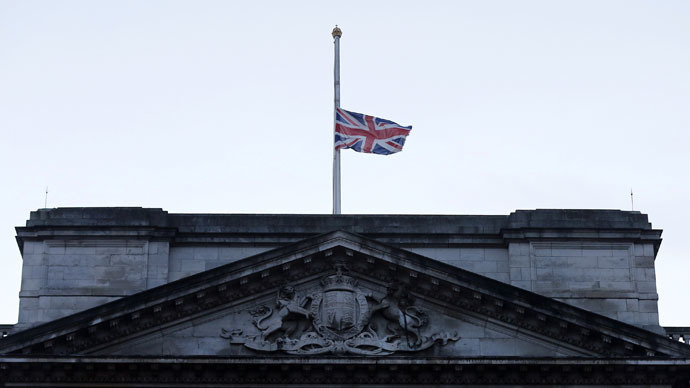 Flags were lowered over the nation’s most important buildings, including the Palace of Westminster, Westminster Abbey, Downing Street and Buckingham Palace. Cameron said it was right to show respect when a King has died, adding that Saudi Arabia was crucial to fighting terrorism. However, he also conceded that Britain’s relationship with Saudi Arabia was influenced by their oil. Cameron was grilled over Britain’s tribute to the late Saudi King by young people at an event called Stand Up Be Counted: Ask The Leaders, held in Facebook’s London offices. “We don't agree with lots of things that the Saudis do. We don't agree with the way they treat people, for instance criminals. We make clear those differences. But when the king died, as a mark of respect, we thought it was right to show that respect,” said Cameron. “We have a relationship with Saudi Arabia partly over things like trying to achieve peace in the Middle East and crucially over fighting terrorism,” Cameron replied. “You can be prime minister and just say exactly what you think about every regime in the world and make headlines and give great speeches, but my first job is to keep this country safe from terrorism,” he added. One young man also asked whether Britain’s relationship with Saudi Arabia was informed by the regime’s oil. “Yes, of course,” Cameron responded. Some politicians criticized the tribute as a “stupid act” given punishments dealt out by the Saudi state last month, which include the public beheading of a woman and the flogging of outspoken liberal blogger, Raif Badawi.